Eliminate restrictions with a heavy duty commode chair you can also use in the shower. 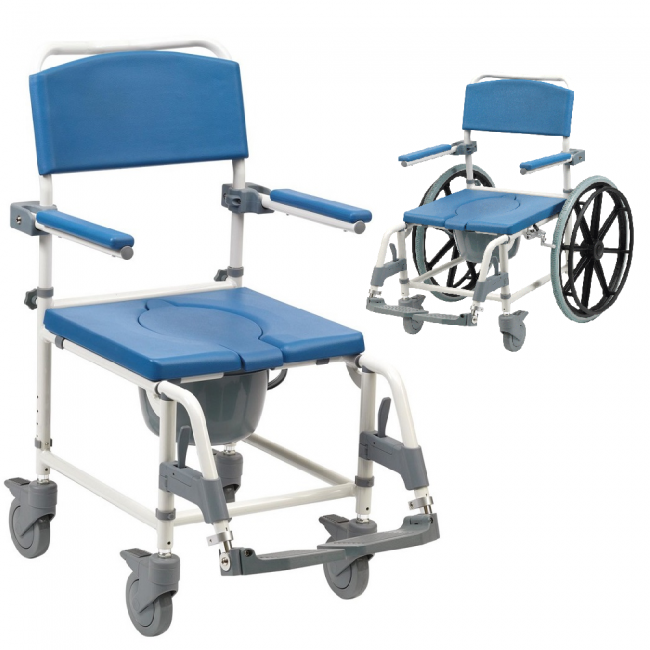 The versatile Aston Mobile heavy duty commode chair can be used to provides support when showering or solely as a portable commode where access to a toilet is difficult. This chair clears standard and disabled WC's for optimum versatility. Bright blue upholstery provides strong colour contrast for visually impaired users. Supplied with a 5 litre potty with lid which is easily removable by sliding from rear of seat. Self-propelling rear wheel kit available for easy attachment to enable independent use.